(Newser) – Former Democratic Sen. Evan Bayh is expected to make another run for Senate in Indiana, Democratic officials said Monday, a development that would dramatically improve the party's chances to win back the vacant seat, and Senate control along with it. Democrats have been courting Bayh for over a year to run for the seat now held by Republican Sen. Dan Coats, who is retiring. Bayh was a top surrogate for Hillary Clinton during her unsuccessful run for president in 2008 and has been a major fundraiser for her this cycle. One Democratic official said Clinton herself had a role in convincing Bayh to get in the race, the AP reports. Obama has destroyed the party. They keep having to go dig up these old fossils and bring them out of retirement. The current candidate has about 50 cents in funds and not a prayer of winning. Thanks Obama!!!!!!! I give U ALL this Song by R. DEAN TAYLOR! "Indiana Wants Me" Indiana wants me, Lord I can't go back there Indiana wants me, Lord I can't go back there There ya go ALL!! 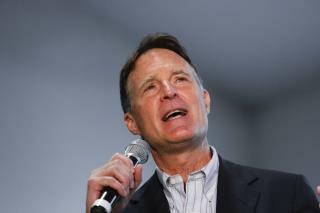 "Bayh, 60, retired in 2010 following two terms and is sitting on nearly $10 million in leftover campaign funds." WTF??? Since when does a candidate get to keep leftover campaign funds? Is that another "retirement perk" our legislators have created for themselves?